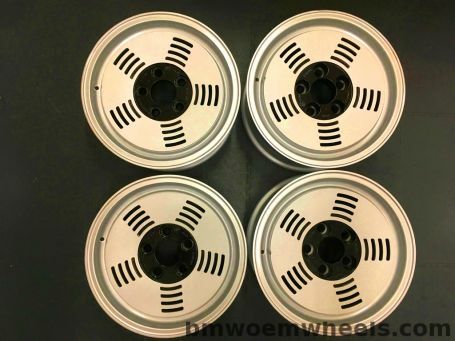 This is OEM BMW E26 M1 wheels. 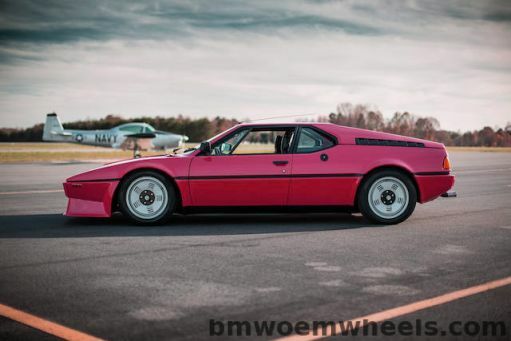 The E26 M1 was fitted exclusively with Pirelli P7 tires, sized 205/55VR16 in front and 225/50VR16 in the rear. 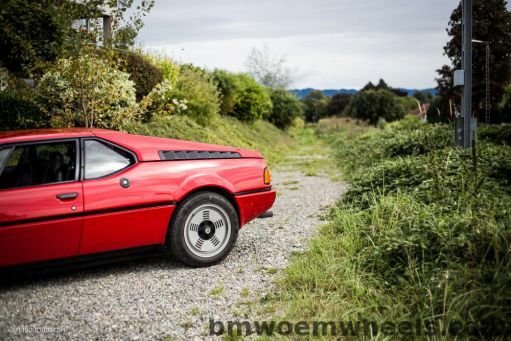 The Campagnolo wheels contain BMW Motorsport center caps and are unique to the M1. 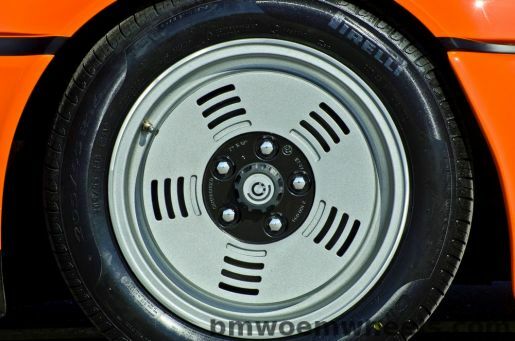 They are sized 7x16-inch (front) and 8x16-inch (rear).